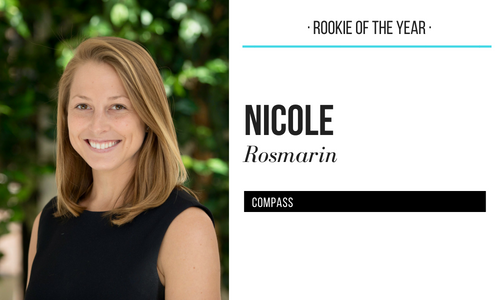 Known for her effervescent personality, passion for real estate and extensive knowledge of the Boston market, Nicole Rosmarin is many people’s go-to specialist. She is dedicated to providing her clients with an efficient and professional experience resulting in a seamless transaction process. She is an integral member of the renowned Bushari Team, who merged with the Compass family in early 2018. Together, they have experience with more than $1 billion in transaction volume. The team creates a more streamlined and interactive experience for their clients by leveraging data and world class technology powered by Compass. Her real estate success stems from her client relations skills, strong negotiation skills, and sharp attention to detail. She continuously strives to exceed the expectations and goals of her clients.